Tahnee is constantly growing as a teacher and a human being. Every year, Wildwood Pod teacher Tahnee Muñoz finds “some new challenge to dive into,” such as creative ways to teach writing. She brings connection to her classroom. In the Pods, which combine kindergarten and first grade, each child is at once learner, peer, and mentor. At this early level, Tahnee and her associate teacher introduce innovative curriculum such as Systems Thinking—the interconnectedness of ideas and things. Life Skills are woven into the daily fabric, and students draw pictures of moments when they showed “grit” or bravery. Her learning transforms her teaching. 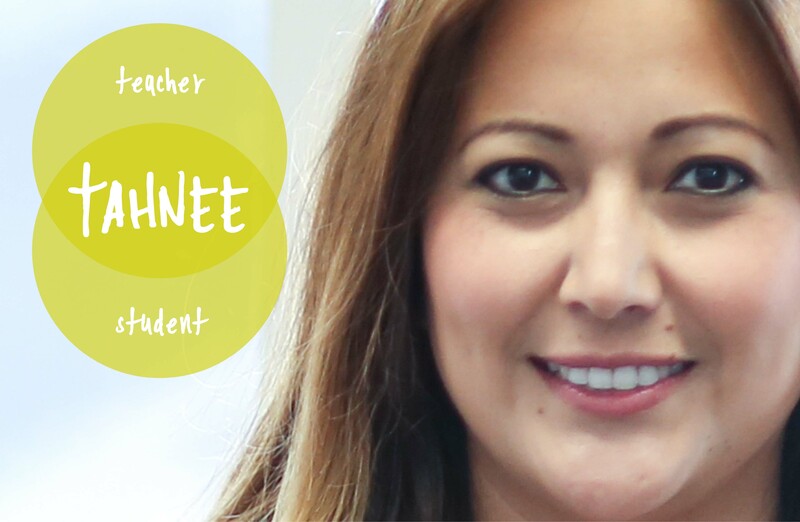 “We’re a community of learners,” Tahnee says, and she doesn’t just mean the students. Wildwood provides its staff with a host of professional development opportunities. "As soon as I stepped on the Wildwood campus, I knew this is where I'm supposed to be."